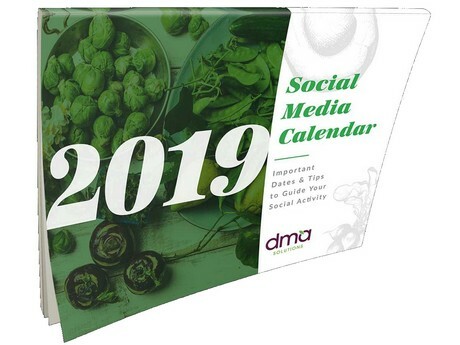 Now in their fifth annual instalment, DMA Solutions, Inc. announced the release of its 2019 Social Media and Produce Marketer’s Calendars. The calendar's are free and include key dates for produce and social media professionals. DMA Solutions says both calendars are helpful tools to help marketers make strategic decisions throughout the year. DMA Solutions recognizes that the media and marketing worlds are not only increasingly fast paced, but saturated with content, which is why the agency said it has offered tools that help fresh produce marketers ensure their content is both pertinent and engaging to today’s consumers. This year’s calendars will come out in one instalment each and contain twelve months of current industry trends, tips, events, and inspirations. New this year, the 2019 Produce Marketer’s Calendar will include a Produce Industry and Education category highlighting training and learning opportunities throughout the year for leadership and career development. 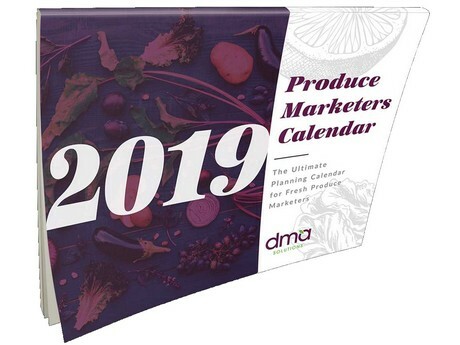 The 2019 Produce Marketer’s Calendar will also provide a list of key information and research, which DMA says is specifically curated for the fresh produce marketer. A list of conferences and tradeshows related to fresh produce, media, leadership development, influencers, and marketing. Promotion opportunities, important events, and national/regional holidays to capitalize on year round. Tips from the DMA Solutions, Inc. team addressing the specific needs of fresh produce marketers. Monthly promotional suggestions and inspirational quotes to inspire continued growth and development. The 2019 Social Media Calendar contains current food trends, tips, and inspiration for marketers with the idea to elevate their social media game. Available as a downloadable and printable document, DMA Solutions shared that this calendar is designed to help marketers proactively and strategically create content that will elevate their brand in social conversations, build brand awareness, and ultimately inspire shoppers and increase sales. Important industry-related food holidays for creating the most relevant and engaging content year-round. Social media pro tips and articles from DMA Solutions Inc.’s team of social media marketers. Top trending hashtags featuring current trends to amplify reach of shared content.